Flexi Flips are all the rage and act as a double pointed needle with some "flex". Each needle comes with a turbo tip and lace tip so you can switch tips as the yarn or pattern calls for. 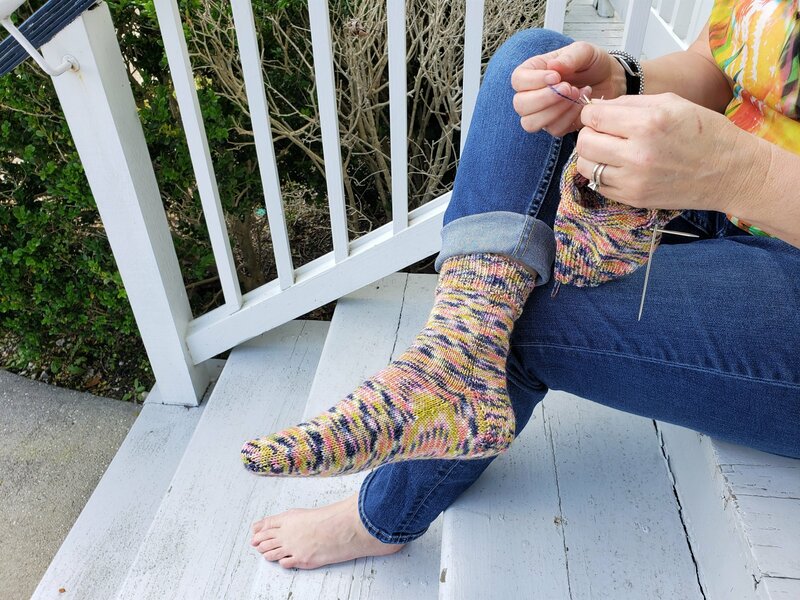 This will be a cuff down sock and the perfect class if you have not found your needle niche for socks just yet, or are looking to learn how to knit socks for the first time. Must be comfortable with working in the round, increasing and decreasing.